We are a leading Manufacturer of fuse holder from Mumbai, India. 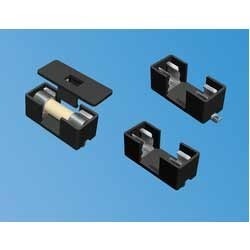 We are the leading manufacturer and supplier of Fuse Holders. Our experts have made these holders by the use of non conductive material to keep users safe. Highly durable these are used to hold the fuse system. We have ensured its quality to deliver damage proof product to our customers. Anyone can purchase these products from us at very low price.